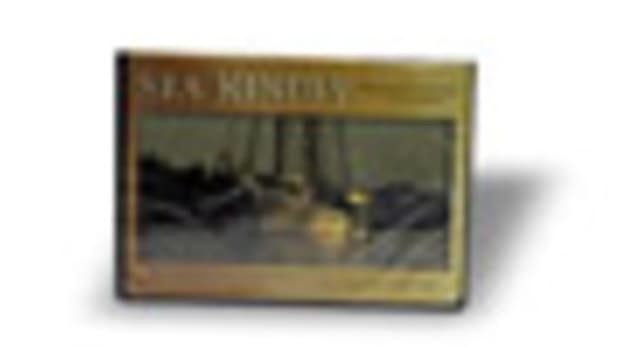 Mah Jong is a testament to the ageless grace of a well-found wooden sailboat. In the December issue, Seaver Jones began to walk us through Gannon & Benjamin’s work on the Burmese teak Sparkman & Stephens yawl Mah Jong. 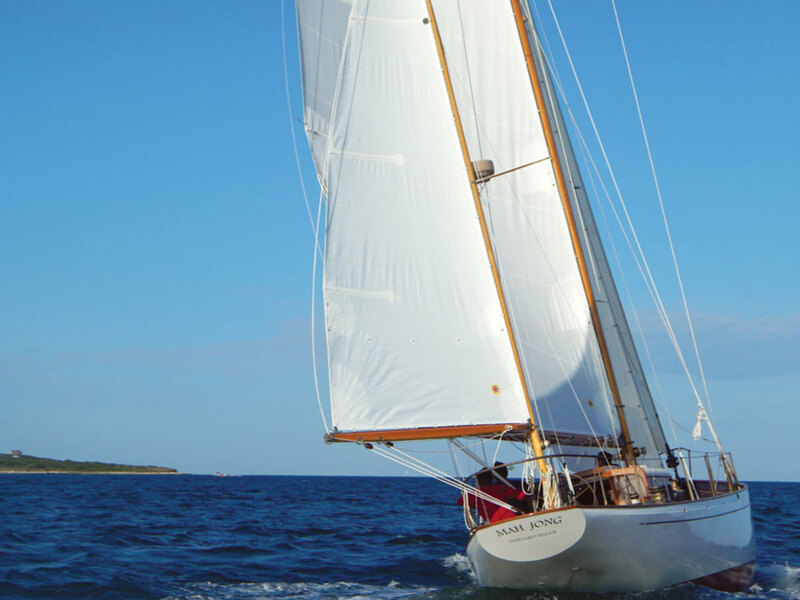 We left off in the spring of 2015, as springtime’s annual process of painting and commissioning the yard’s wooden-boat fleet overtook the crew. But work continued with the arrival of summer. With the summer 2015 fleet scudding before the wind in Vineyard Sound, the heat of the sun on the metal roof turned the Mugwump shop into an oven. The small crew, gargling gallons of Gatorade, continued reframing inside the hull in the blistering heat. By fall, the shop had cooled, and the full crew returned. Brad Abbott, the third partner at Gannon & Benjamin Marine Railway, brought his mechanical engineering expertise to bear on the project’s next phase. New engine stringers were laid out, and the challenge of mounting the old Perkins diesel, deemed perfectly workable, was added to the work of creating what was becoming a totally different interior. Throughout the project, Ilderton was a regular visitor, consulting on how he saw his boat developing. Gannon wanted to interpret Ilderton’s vision into a new interior layout with open, airy space for friends and crew. As a musician, Ilderton wanted a place to sit on the boat with friends and play his fiddle without banging into tables and doors. For that reason, the engine was relegated to the space that would be under the large stainless galley sink and food-prep area. With the interior laid out, at least in Gannon’s mind, the sole started taking shape. Bulkheads were located, patterned and installed. 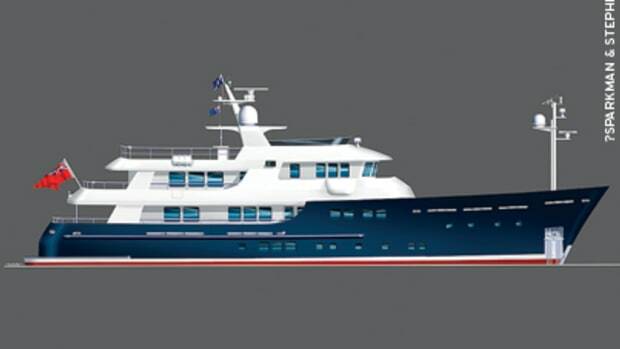 During the winter of 2016, the focus inside the boat was defining the spaces with structural bulkheads from the fo’c’sle to the navigation station, and laying out what would become bunks, the head, the galley and more. Outside, the deck beams had to be faired to accept the deck. There was much discussion about what the final deck surface would be, with consideration given to the cost and weight of a laid teak deck versus a lighter, modern material over a plywood subdeck. In the original build, for whatever reason, Mah Jong had no bilge stringers. 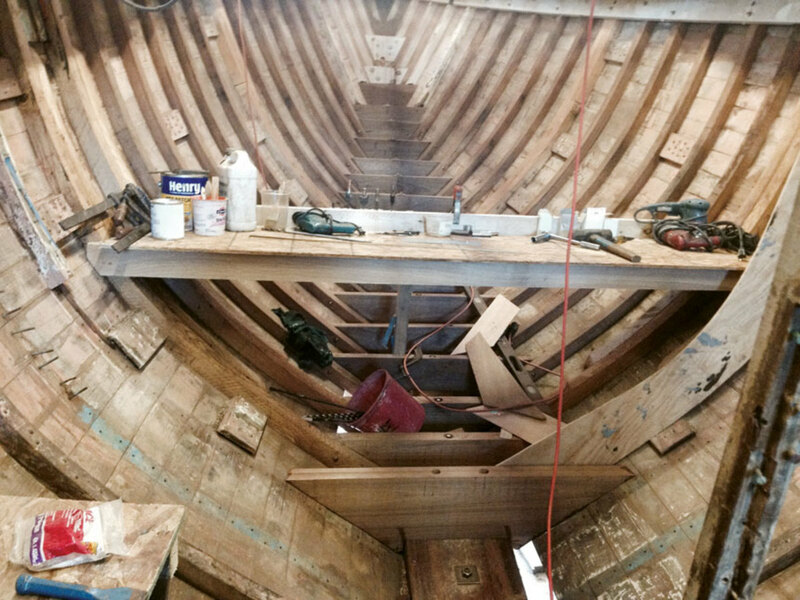 So after all the framing and blocking was complete, veteran G&B shipwright Robert Bennett faired the inner faces of the frames, the full length of the boat, and installed bilge stringers with long scarfs that ran from stem to sternpost. The work was painstaking and required moving backward and forward with a long batten to ensure the stringers landed solidly on each frame before being fastened in place. The result was the installation of members 50 feet long, passed through the end of the barn 20 feet off the ground and into the boat. With this accomplished, the installation of bulkheads and the interior ceiling over the frames went smoothly, and the interior started to take shape. 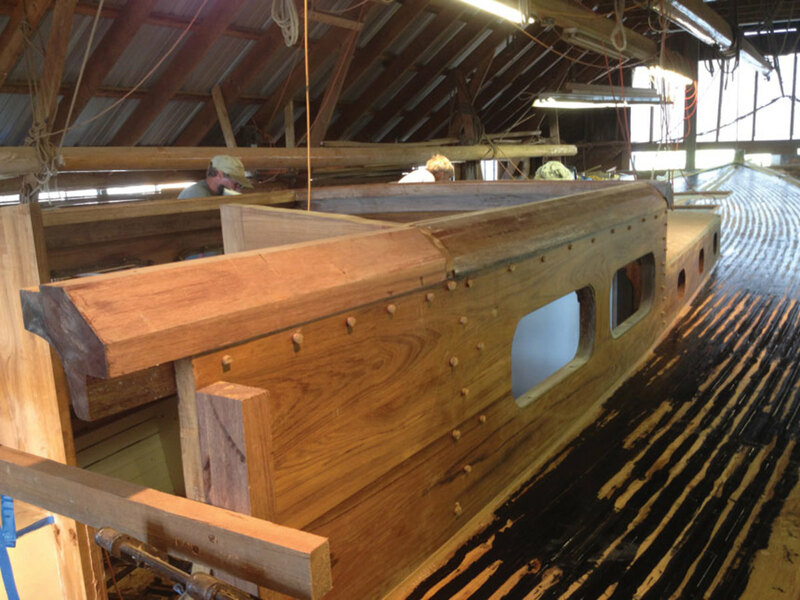 Sawn live oak frames were replaced a pair at a time from stem to stern. In the new interior, there were nine bunks, each with a modicum of privacy if not a true sense of personal space. At each bunk were shelves with fiddles, reading lights and discreet USB ports, plus as much room as possible for the personal devices we all schlep around to keep ourselves connected and happy. 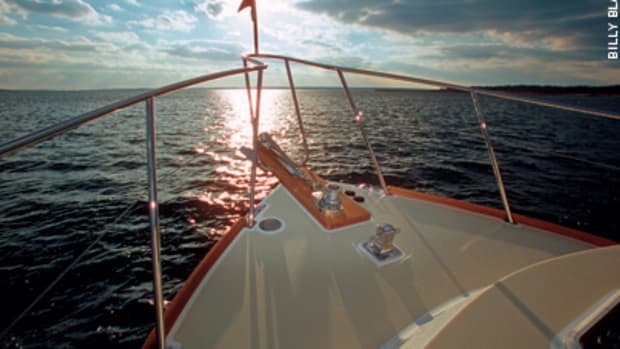 The shelves, trim, moldings, cabinets, doors, drawers and any surface that was not to be painted were made from teak, although in this day and age finding yacht-quality teak is like looking for dodo eggs. The dismantled original boat became a rummage pile for finding teak stock. 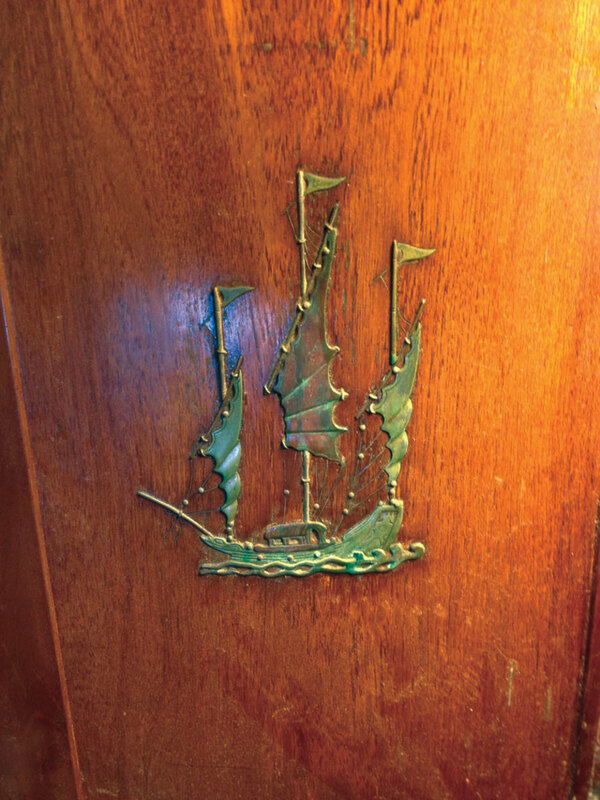 As six decades’ worth of varnish was removed from the original cabinet doors, small scenes of Chinese life appeared in pewter, engraved and inlayed into the teak panels. The images of Chinese junks, pagodas, fishermen with cane poles and characters of the Chinese alphabet were incorporated into the new cabinetry and doors. Hinge and latch mortises and screw holes were filled and planed. The original bronze latches and hinges were fished from the diesel baths, cleaned and reused. Nothing was wasted. If it wasn’t shavings and sawdust on the floor, it was screw-hole bung stock. Andy Lyons (left) and Ross Gannon conspire on an angelique floor timber. As the interior progressed, the plywood subdeck overhead was puzzled together. When the mosaic of scarphed panels had become one continuous surface, patterning and fabricating began for the covering boards that went over the beam ends at the sheer, all the way around the boat. This, too, was to be done in teak. Long pieces of thick, wide stock were needed so the curve of the rail could be cut to fit, as well as to complete the aft deck at the transom, where the covering board rolled up to the eventual height of the bulwarks that would support the caprail around the boat. Decades ago, Gannon and a small collection of insightful wooden-boat freaks had found the opportunity to purchase a sizable stock of high-quality teak, some of it in large dimensions. The pieces were stored in barns and lofts around the island. No better need would present itself than the restoration of Mah Jong, so Gannon searched out the stock needed for the heavy teak taffrails around the transom and covering boards. The pieces were fitted and joined, defining the deck at the sheer, and the large pieces were carefully carved around the aft deck and transom. 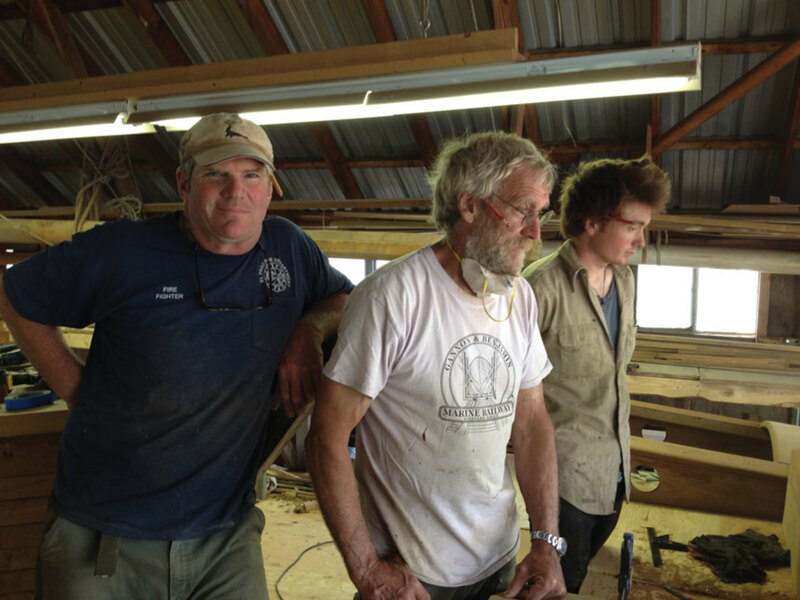 As the Mugwump shed’s large front doors were opened to allow the first tendrils of spring 2016 to slant in and over the winter’s work, Gannon took advantage of the natural light to lay out and cut the dovetails of the scuttle for the foredeck, the large hatch that would go amidships forward of the house and the butterfly hatch that would adorn the forward cabin house over the salon. Arched slide hatches were splined together over clamp molds. All of this, too, was awarded stock from the preserved island caches. Ilderton had decided on teak decks, so new teak stock, measured and planed, arrived in long bundles. A layer of Bituthene membrane was stretched and stuck down to the plywood subdeck. Some years ago, when Gannon was building his own yacht, he had used this modern miracle house-construction material under his own teak deck as an experimental improvisation to counter the age-old conundrum of leaky decks. In the seasons since, there had been no issues, so the technique was integrated into Mah Jong’s deck. The reconfigured interior was installed before building the cabin house (above). King planks were fastened down the centerline of the boat. Grubs and hatch bases were screwed under the spots where the cabin house and hatches would land. The decks were laid following the shape of the hull against the covering boards, from outermost to the center, until the deck was covered in teak. A new teak deck is a rare thing of beauty. As another spring commissioning season bled into another sailing summer, the crew on Mah Jong expanded. There was wiring, plumbing and mechanical work, plus painters laying on coats in the less-accessible places (before they became inaccessible). At times, there were as many as a dozen workers. Caulkers banged cotton into the seams. 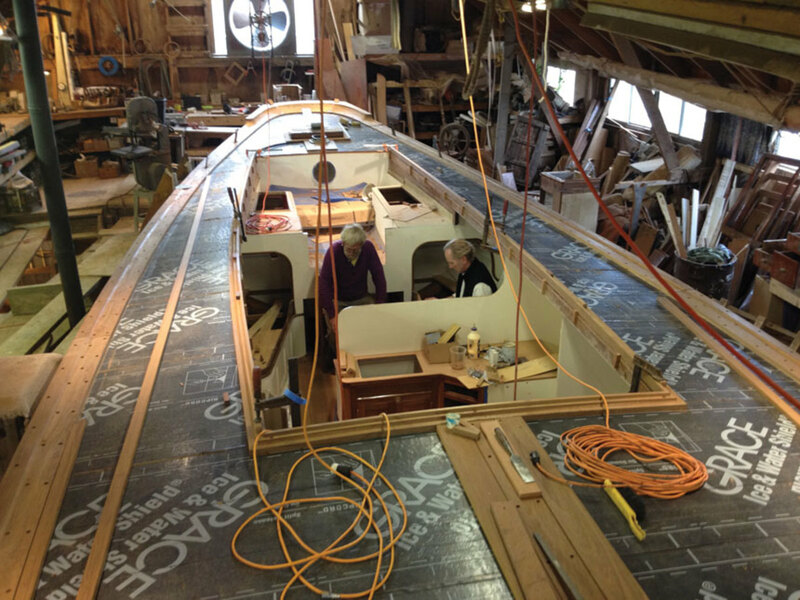 A crew glued and pounded wedge-shaped splines into the plank seams to be planed and faired. Visiting Norwegian seafaring friends worked out the anchor windlass and chain delivery into the locker, then mounted and installed the heavy bronze binnacle base that would house the steering and anchor the mainsheet and winch. As the teak bulkheads were fabricated for the forward part of the cockpit and the after end of the house, Gannon laid out and cut the dovetails for the forward end of the house, where it joined the house side and ran full length along the cockpit to become the coaming that curved sweetly around on the aft deck forward of and incorporating the lazarette hatch. Into the fall of 2016, the large timbers were framed, giving the rounded shape that transitioned from cabin sides to the top. This was done in angelique, as the timbers required were larger than anything in the teak stock. The joints were complex and visible. They had to be perfect. And they were. The cabin roof beams spanned the top with heavy framing to support the butterfly hatch. Then the cabin top was glassed over with a heavy mesh of Dynel. Finally, a heavy eyebrow trim was installed at the transition of the cabin sides and top. By the end of winter 2016’s storage season, with the shop closed and the wood stove stoked for coffee breaks, Gannon and his family took off for a cruise to warmer climes. The major part of Mah Jong’s woodwork was completed, with final details and the punch list inevitably to come in a rush at the project’s end. The crew handled remaining wiring and plumbing challenges, worked out the steering system and planned for the navigation systems and wiring for both masts. Wires were run for all the interior lights and USB ports. The engine was aligned and mounted, and the exhaust and electrical controls were connected. All this and more was wired into the AC/DC panel cabinet, mounted in the navigation area. It was a huge body of work. On deck, the rail stanchions were laid out and installed, and a new bronze pushpit was fabricated. The original pulpit was still workable with a bit of modification. The stanchions were good, but the bases had to be modified (and in some cases reworked) to accommodate the new layout. Gannon & Benjamin’s bronze-welding machine produced all kinds of deck fittings, threaded hold downs, sail tracks and more. There was also a change order to fulfill. In the beginning, the idea was to turn a tiny, standing-room-only locker into a head without a sink, but with shelves and a drawer for stowage. After this was all built to suit, the change order came not only for a sink in the head, but also for a shower. Bennett tore out his work and wedged himself into the space, putting in a drain pan and making the closet waterproof. He mounted a corner sink with an extendable handheld shower into the phone-booth-sized space. The end result was nothing short of miraculous. Bennett got it all in and fashioned like it was exactly how it was supposed to be. 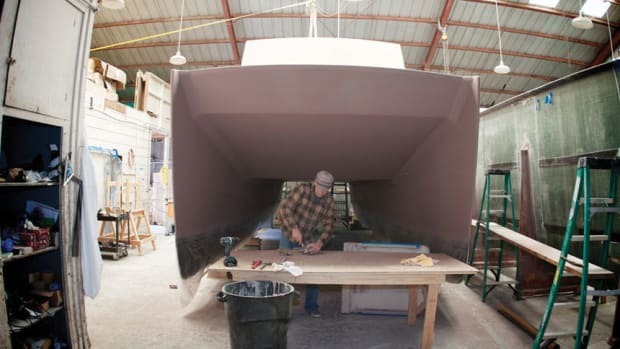 The 52-footer’s hull was faired with heavy-grit torture boards, then faired with medium-grit torture boards and, finally, faired with fine-grit torture boards. As the light of spring 2017 flooded the shop, Mah Jong had an air of anticipation about her. With the shed’s big doors open, she looked ready to float out. The only obstacles were the 30 or so boats on jackstands, waiting to be uncovered and painted and moved back onto the water. As the veteran paint crew reassembled for another season, steady long hours became key. Drain plugs were checked. There was a Dutchman here, a rail to repair there. Each boat has its quirks, but years of working together had made this most harried of seasons less hectic. Mah Jong had been in the shop for 2½ years, becoming part of the yard’s day-to-day realities. If the crew wasn’t working on her, they were checking on her. Now it was time to get her out of the shop. There could be no rush, but there was still a lot to do. One day, as Bennett stepped back from the catwalk he had crossed thousands of times over decades, he was suddenly on the ground below, with the lower part of his leg at a terrible angle. He went to the local hospital, then the big city hospital, then to surgery. There was medical hardware, the threat of infection and all the terrors of not being able to get up and walk away. Finally, Bennett went to his cabin in the woods to heal. But there was a pause in the Mah Jong crew, who now felt a giant hole. (From left) Seaver Jones, Ross Gannon and Zoli Clarke strategize. The list of finishing work grew. As things were checked off, more arose. Small things, touch-ups, latch tune-ups, more varnish, overhead hand rails, welding, more paint, more prepping. Then everyone stopped. The starter button was pressed, and the old diesel cackled to life. The mast was lowered onto horses on the deck alongside Mah Jong. The hardware would go on as the mast was prepped to rig. Myles Thurlow, a rigging genius brought in for the job, gave a groan as he sighted down the mast. While it was hanging above the crew’s heads, the long spar had developed a twist. After a short attempt at a quick remedy, Thurlow came in with a big skillsaw and cut out the middle of the mast about two-thirds of the way up. Then he was gone for a few days. When he returned, he had a new core of spruce with long scarfs and fit the piece in, allowing for the twist to lay in repose. Then he reshaped the mast. He also installed a new masthead with a high-tech composite pair of sheaves for the halyards. Satisfied, he left the mast to be varnished and headed back to his shop, where he was building a new mizzenmast for Mah Jong. As the yard thinned out, the shop’s work was reversed. The heavy, stationary tools were moved out from under Mah Jong. The scaffolding built out to the hull from the deck surround was dismantled. For the first time in years, the crew saw fresh bottom paint extending up to the waterline to a long, fair hull of perfect white paint that ran the full length of Mugwump, filling the shop with an air of readiness in contrast to the familiar mayhem of the wood shop around it. The day came when a hydraulic yacht carrier backed into the Mugwump shed and, ever so gently, lifted the keel from the floor. In a long instant, the shop was empty. The crew followed Mah Jong on foot down the middle of Beach Road and into the Travelift slipway at the shipyard. 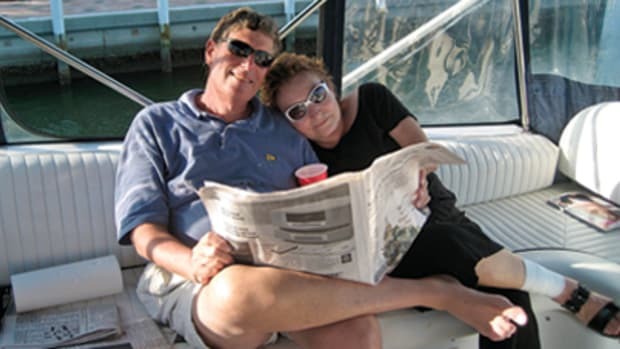 With the crack of a champagne bottle, we were off motoring around Vineyard Haven. Ilderton was at the wheel with a big grin, similar to the smiles on all of our faces. 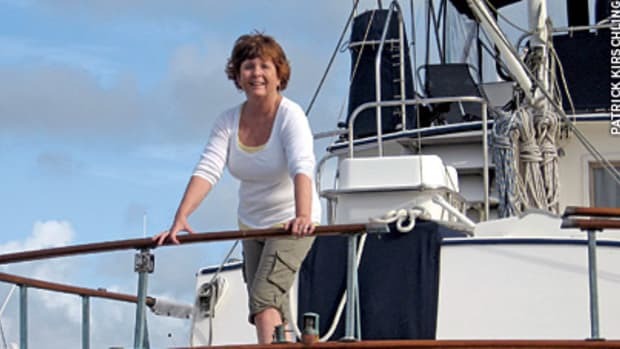 The next week, the renewed mast was lowered into the boat and wedged into the partners. The mizzen was dropped in, and once the booms were joined by their goosenecks, Thurlow directed the complex rigging that would support the spars connected to the chain plates. It was a hectic few days taking care of the running rigging and roller furler. The sheets were rove, and, finally, the sails were bent. 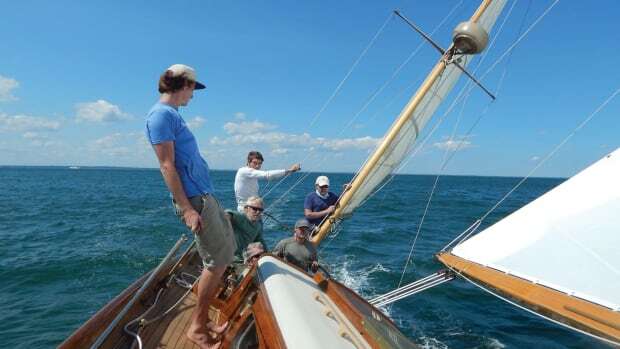 After a quick shakedown, Mah Jong’s maiden voyage carried us down the coast to the WoodenBoat Show at Connecticut’s Mystic Seaport, on the eve of the opening day. Mah Jong sailed every bit as good as she looked: powerful, graceful and comfortable. During the course of her rebuild, with Gannon’s guidance, we had all put our our best into restoring her, building new life into Mah Jong. Under Ilderton’s stewardship — and that of his successors — we knew Mah Jong was ready to sail into an age beyond any we would reach. Seeing her go was sad, but it was enough to know that out there, somewhere, would be a bit of ancient fundament in wood and bronze — as honest as anything produced by the hands of man could be. 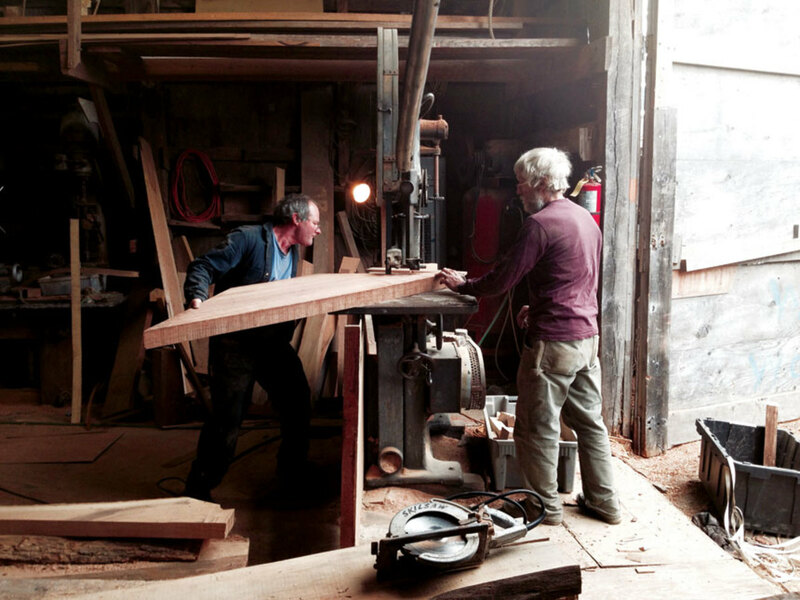 About the author: Seaver Jones divides his time between work at the Gannon & Benjamin Marine Railway on Martha’s Vineyard and his ranch in Patagonia, Chile, where he has a wood shop and is a fly-fishing guide. This article originally appeared in the January 2018 issue. In February 1957, a 52-foot yawl splashed into Kowloon Harbor from the Cheoy Lee shipyard in Hong Kong.